5Paisa franchise model is relatively straight-forward in nature. The broker offers revenue sharing models based on the partnership chosen by the user at set eligibility criteria. In this detailed 5Paisa franchise review, let’s have a detailed look at some of the interesting details you must be aware of. As a discount broker, 5Paisa is relatively a new entrant in the Indian broking market. The company is trying its best to create its own space in the financial market by providing flat revenue sharing for each model of the partnership business at a minimal initial investment. 5Paisa a discount broker that started its operation in March 2016. The headquarter of the company is around the vicinity of Mumbai. As the company is relatively a new player in the sub broker market, they are offering attractive revenue sharing and minimal security deposit/initial deposit to start the business for the potential partners. To its clients, 5Paisa offers flat ₹10 per transaction for both Intraday as well as delivery trading across trading segments i.e. Equity, Currency, Derivatives etc. The discount broker is sister concern of the India Infoline (IIFL) Group. Recently, the broker was listed on the NSE and BSE in November 2017. 5Paisa provides services in the following segments to the business partners and its customers. 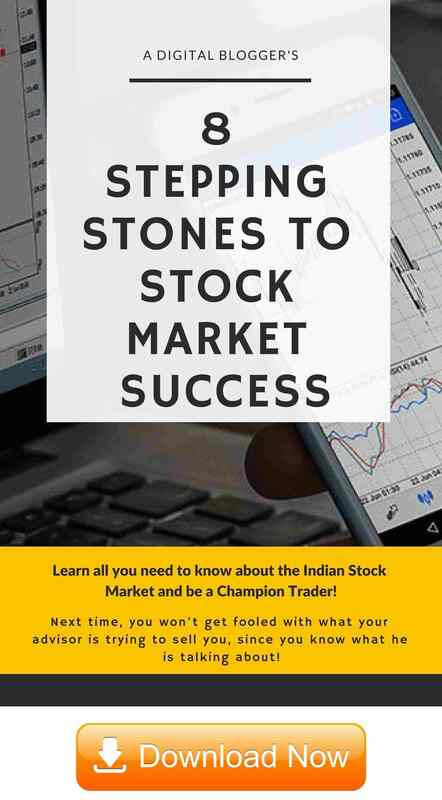 Online Trading: One can trade in Stocks, Future & options, Currencies at NSE and BSE. Online Mutual Funds: Wide range of mutual funds, ETFs and Bonds trading is offered by the company. Online Insurance: Clients can compare and buy a car, term insurance, health insurance online. In this article, we are going to discuss in details the different aspects of the 5Paisa broker like the business model, revenue sharing ratio, initial investment, offers to clients and many more. The broker offers two types of business models. As 5Paisa broker has just entered the broking market, the company has launched a Partner/Remisier model in the current year. The main reason behind this is to attract more partners by providing them different business model options. Under the Partner/Remisier model, you are not required to set up an office or any other infrastructure to start the business. You can sit in the office of the 5Paisa broker and work from there. You may even choose to work from home at times. Revenue sharing is flat 50% for business partners, whereas the initial amount is also very low. One can easily start a business with them without any hassles. Looking for a competitive perspective, the revenue sharing percentage is definitely generous. However, once you reach a scale where growth is hindered by that percentage, you may start feeling a bit stuck. This maximum cap of 50% may start looking like a growth barrier for you then. Sub-broker model is the second business model offered by the company to their clients. Under this model, you are required to bring clients to the company and in return, 5Paisa will give you ₹555 as an account opening charge. The other income you will get as a sub-broker is 10% of margin transferred by a client within 15 trading days. Any revenue sharing is not provided in this model. You are not required to set up an office to work. You can work from your home. You are just required to send the clients details to the company. Here are some important details related to the 5Paisa franchise revenue sharing or commission rates you may earn if you choose to pick any of the business models offered. Revenue sharing ratio of Partner/Remisier model is a very simple and straightforward in nature. The company gives flat 50% of revenue sharing to all kinds of partners work under this model. Since the company is new, this ratio will help the company to make its client base strong. Let’s understand it with the help of an example. For instance, 5Paisa team was able to acquire 100 clients out of all the business leads provided by you. On an average, let’s say each client generated a brokerage of ₹1000 in a month, totalling the overall brokerage to ₹1,00,000. From this overall brokerage chunk, your take away will be 50% i.e. ₹50,000. The best part is, this brokerage value will keep on adding cumulatively every month and create a bigger revenue share chunk for you as long as you are able to consistently provide clients to the broker. There is no revenue sharing ratio under the sub-broker model. But, the income under this model is different. 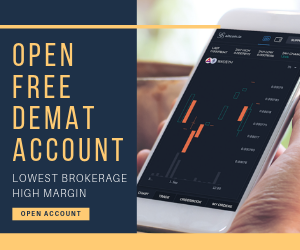 A sub-broker will get ₹555 from 5Paisa as an account opening charge plus 10% of the total margin transferred by the client within 15 trading days. Let’s understand the 5Paisa sub broker model with the help of an example as well. For instance, again 5Paisa team was able to acquire 100 clients from the business leads provided by you and each client deposited a margin of ₹25,000 on average. In this particular case, you will be making (₹555 X 100) + ((25000 X 10) X 10%) i.e. ₹55,500 + 25000 = ₹80,500. However, there will be no carry forward of money to the next month(s) and further revenue will depend on the number of clients you bring to the broker. This is different from the remisier model where you get consistent revenue as long as the client is trading using 5Paisa services. Initial security deposit under the Partner model is very minimal. The broker charges ₹5,000 as a non-refundable processing fee. Not more than this is charged by the partner/Remisier. As any form of investment is not required, the initial deposit money is low. There is no requirement of any processing fee or initial deposit under the sub-broker model. A sub-broker can simply open a Trading account and start his/her business. Receive a call from the call centre to verify your interest in the partnership business with 5Paisa. An appointment will be fixed with a sales representative when there will be a call from them. Make sure to clear your all confusions and get all important information from them by meeting with a sales representative. Submit all required documents for verification purpose. All documents will be verified. Finally, after verification, Account ID will be provided. The complete procedure will take almost 3-5 working days. Following are the advantages of starting a partnership business with 5Paisa broker. The broker is sister concern of IIFL which has over 20 years of experience, helps to attract clients easily. Low brokerage charges of 5Paisa help to attract customers towards the company. Back office software provides detailed information to the business partners. Very low initial investment helps to start the business easily. Flat revenue sharing is a transparent and a motivating method to deal with the new partners. The broker has a fast acquisition process which makes client and partners happy. 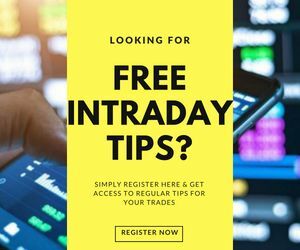 Offers free trading platform including web site, mobile app, and desktop trading terminals. Brokerage plan is cheaper and Simple. Simple and impressive revenue sharing ratio. The highest income one can get is 50% only. Instead of revenue sharing, others mode of income available. Following are the offers are given by the broker to the sub-brokers. Revenue sharing of 50% is simple, flat and attractive for the partner model of business. Very low initial investment motives clients to start a business with 5paisa. Provides a lot of variety for asset-classes. Provides personalized real-time advisory through Robo-advisory. Integrated platform for insurance, mutual fund, stocks, and advisory services. Cheap brokerage offers to the clients @Rs. 10 per transaction. Latest back office software support to keep track of brokerage and clients. 5Paisa assigns a relationship manager to each partner for client Acquisition. They help the franchise to easily acquire clients. The second important support is back office support. 5Paisa provides back-office support to the partners so that they can easily track the client list, brokerage generated and other important information on a monthly basis. 5Paisa has recently entered the broking market. It offers flat revenue sharing ratio for all types of partners with minimal investment. It provides very cheap brokerage to its client. 5Paisa is trying its best to provide various offers to the partners so that they can run their business successfully. So, if you want to start a partnership business in broking field you can opt for 5Paisa.